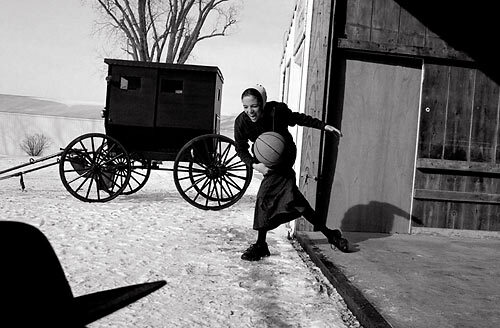 "Death in the Desert - Ethnic Cleansing in Darfur"
"Afternoon Game" A young Old German Baptist woman plays basketball with friends after dinner at her parents' farm. Sports play a large role in the Old German Baptist community by giving other young members a chance to meet and socialize. Members can not use the Internet, watch television or listen to music.